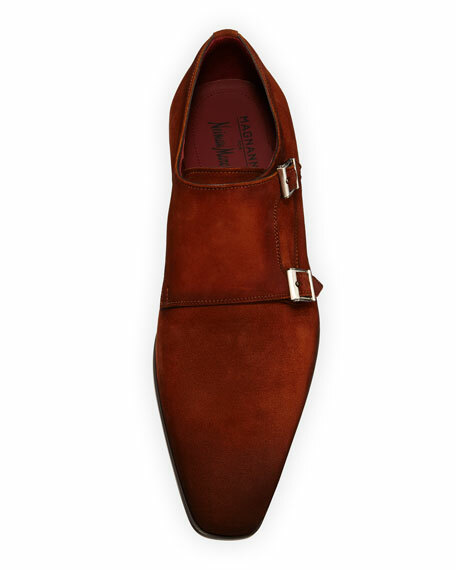 Magnanni for Neiman Marcus shoe in calfskin suede. 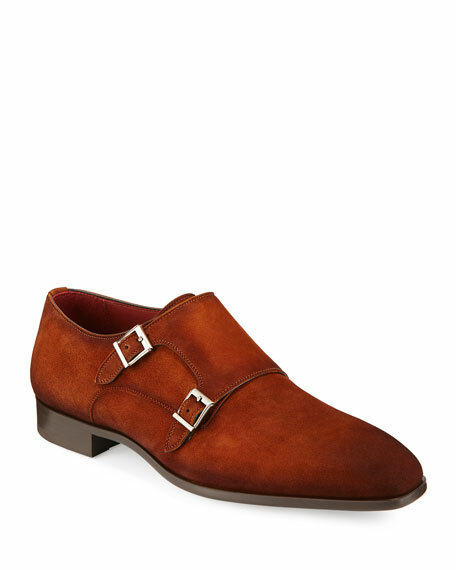 Double monk straps with silvertone buckles. Bally men's trainer sneaker checkerboard weave lamb leather. Round, reinforced toe. Lace-up front. Logo patch at tongue. Logo-debossed backstay. Leather lining and insole. Rubber outsole for traction. "Geck" is imported. 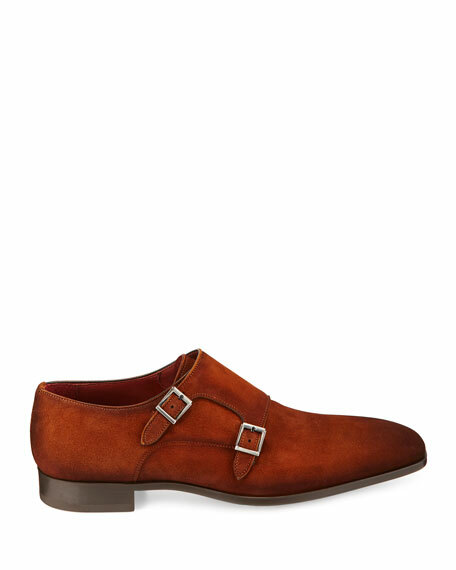 Bally men's trainer sneaker in calfskin. Round, reinforced toe. Lace-up front. Wing appliqu?? at sides. Logo patch at tongue. Logo-debossed backstay. Leather lining and insole. Rubber outsole for traction. "Goldy" is imported.